The soap is usually the result of a chemical reaction between a base (usually sodium hydroxide or potassium hydroxide) and vegetable/animals fats. Therefore, it is considered a natural product. 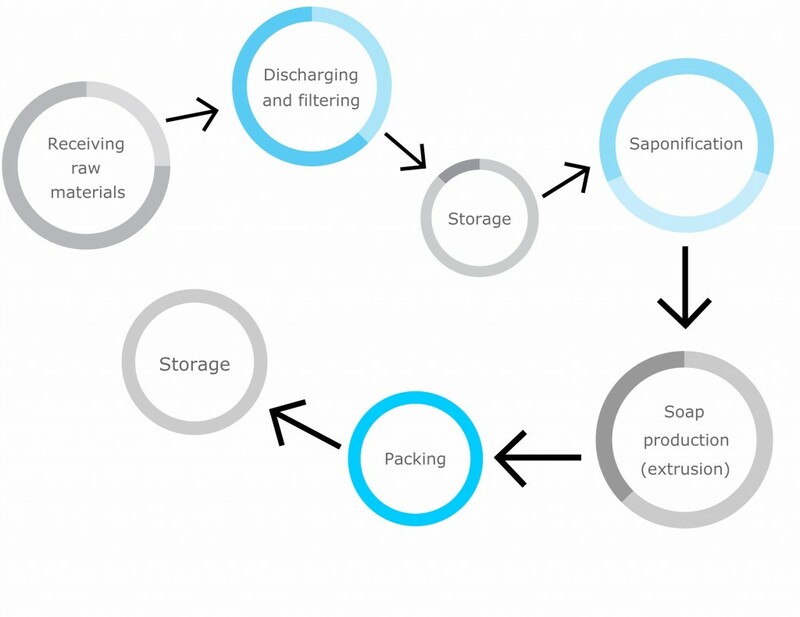 The blue and white soap is the traditional portuguese soap used to wash clothes and in household cleaning, and is the main product of Socipole business. Our soap can also be used as a disinfectant and used to prevent transmission of the flu virus, but that is not its main function. Our soaps obey the European regulation for detergents.